Iran’s parliament (Majlis) is working on a motion under which the government would be obliged to step up uranium enrichment utilizing new-generation centrifuges, says a senior Iranian lawmaker. Spokesman for the National Security and Foreign Policy Committee of Iran’s Majlis, Seyyed Hossein Naqavi Hosseini, said on Saturday that the move is in reaction to recent announcements by US lawmakers that Congress mulls more sanctions against the Islamic Republic. 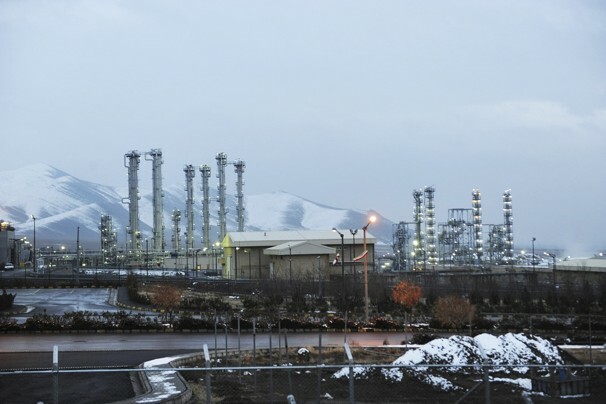 Certain lawmakers in Congress are drafting legislation to impose new sanctions as Iran and the P5+1 group of countries are negotiating to reach a comprehensive agreement over Iran’s nuclear energy program. An interim deal reached between the two sides in Geneva in November 2013 stipulates that no more nuclear-related sanctions should be imposed on Iran as long as the agreement is in effect. The deal has been extended until July this year. US President Barack Obama has called on the new Republican-controlled Congress not to impose more sanctions on Iran, saying he would veto any bill that may reach his desk. Naqavi Hosseini further said that the Iranian parliament’s nuclear committee is working on technical and operational aspects of the motion. The Iranian lawmaker warned that any additional sanctions against the Islamic Republic run counter to the Geneva interim deal and would be detrimental to the ongoing nuclear talks between Iran and the five permanent members of the UN Security Council – the United States, France, Britain, Russia and China – plus Germany. Any new US sanctions “will be definitely the bottom line and [lead to the] failure of the negotiations and [if it happens,] the Americans should be held accountable for the failure of the talks,” Naqavi Hosseini argued. According to Naqavi Hosseini, the Iranian parliament has another motion which will require the government to produce 60-percent enriched uranium in case the US Congress goes ahead with plans to impede the ongoing nuclear negotiations.